Frederick Fussi is now serving as the Board Member for the East Africa Regional Advisory Board of the Young Leaders Initiative (YALI). 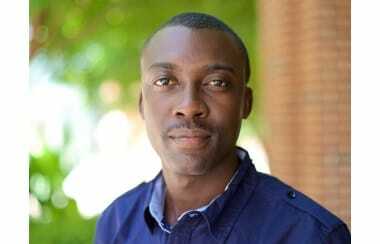 He is also a Mandela Washington Fellow for Young African Leaders, a President Obama’s Flagship Project on African leaders. He is a founder and CEO of ChangeLab Consulting a firm providing consulting services on Policy, Governance and Advisory. He is a member of Generation Democracy a brainchild of International Republican Institute. Fussi is currently working on provision of professional services to Parliamentarians specifically building their capacity to engage in parliamentary activities such as budget analysis, research, drafting of private motions and private bills and setting up offices in their constituencies to run socio-economic projects. He has earned respectful trust with decision makers and has gained unparalleled access to the corridors of power in Tanzania. Fussi holds a Bachelor Degree on Politics and Management of Social Development from the Mwalimu Nyerere Memorial Academy based in Dar es Salaam. He has received a number of local and international trainings including Civic Leadership training from the University of Virginia and College of William and Mary both in USA as well as the International Training on Strategic Partnership and Coalition Building for Business Enterprises, NGOs and Political Parties, held at International Leadership Foundation (IAF), Gummersbach, Germany. Fussi has vast corporate and civic leadership experience with a background on senior leadership in Civil Society Organizations and an Audit Firm. As a Senior Audit Associate he worked at Claritas International an audit firm where he accumulated audit knowledge and experience on a number of audit assignments in Public and Private sector. As part of his 10 years’ experience with the Civil Society, Fussi had worked as the Executive Secretary of Tanzania Youth Vision Association, Secretary General of the Youth of United Nations Association of Tanzania, Country Representative- Helping Youth Through Educational Scholarships and the National Coordinator of UN Clubs Tanzania Network.